Shortbread is one of the British classics I grew up with. Goes perfectly with a cup of tea! Whatever flavorings one might add, the predominant flavor of good shortbread must be butter. And I do mean butter; margarine will not do. My grandmother (from England's Lake District) was particularly fond of hazelnuts, as am I; so I decided to change up my usual shortbread with some Bob's Red Mill finely ground hazelnut meal. It was delicious, perfectly scrummy, and a subtle enough addition to not overpower the aroma of butter as they were baking. (I say "they" rather than "it" because I prefer to cut the shortbread into individual biscuits before baking.) When developing recipes, I always cut back on the sugar as much as possible. This barely sweet treat has less than 1/2 teaspoon sugar per biscuit (that's British English for "cookie"). 06/20/16 Update: You might also like to try my Earl Grey Shortbread. 1 With electric mixer, cream butter well. Add sugar, vanilla extract and salt; continue creaming. Beat in hazelnut meal, then beat in flour. Scrape out onto piece of waxed paper or plastic wrap, shape into disk, wrap and chill for about 30 minutes. 2 Preheat oven to 350F/180C/Gas4. On very lightly floured surface, roll or pat dough into 1/4-inch-thick 7 1/2-inch square. Cut into 25 1 1/2-inch squares. Place on parchment-lined baking sheet. Bake for about 16 to 18 minutes; edges will be just barely starting to brown. I don't eat many cakes or biscuits, however I do like shortbread, it must be all that butter. I might just give this a recipe a go, will have to leave out the nuts though. Jean, you've got me salivating! Thanks so much, Marc! Coming from you, that is quite a compliment! Oh these look so good, I bet they are so scrumptious! I wonder if you couldn't find hazelnut meal could you grind up your own hazelnuts?? Thanks, Jenn. Yes, you could grind your own hazelnuts, pulsing rather than just running the food processor, taking care to not turn it into a paste, hazelnut "butter." Or just go online and order the meal from Bob's Red Mill, or maybe a local independent grocery or health food store would get it for you. Gary, thanks! Cute story. Sounds like something young boys would get up to! I think I must make these - anything this buttery will surely be a winner. Must find hazelnuts or hazelnut meal . . . Thanks, Ami! I think any black tea, but especially Earl Grey or Darjeeling, goes well with hazelnut shortbread or hazelnut scones. Black tea with just a touch of milk, maybe 1/4 teaspoon of sugar. Are you going to address the 'Frisco ban on Happy Meals, i.e. toy temptations? I'm thinking this is a chance to create an Unhappy Meal. You know, huge stuffed panda give-aways and the meal is broccoli, brussels sprouts and asparagus. Well, if I do, I won't be referring to the great city of San Francisco as "Frisco"--surely you know that's a hanging offense! Thank you, Celia. It was about 5am as I read your comment, and I was wishing I had a piece of hazelnut shortbread to go with my first cup of tea of the day. Maybe I'll whip some up (it's so easy) once I get my eyes open! Thanks, Anne! Don't you just love leftovers! Some things I make specifically for the leftovers! My mom and I love shortbread; and really when I think of the quintessential accompaniment for tea, shortbread is the first thing that comes to mind. I will have to try these because I love hazelnut but have never had the two combined. Angie, I hope you'll try it soon and let me know how it turned out for you. It really does go perfectly with tea. Thank you, Zaa. My hand is healing nicely, I'm happy to report. 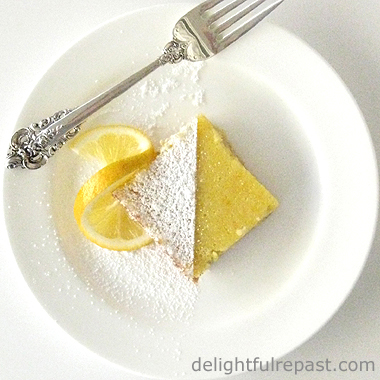 I hope you and your mother will try this shortbread and like it as much as we do! 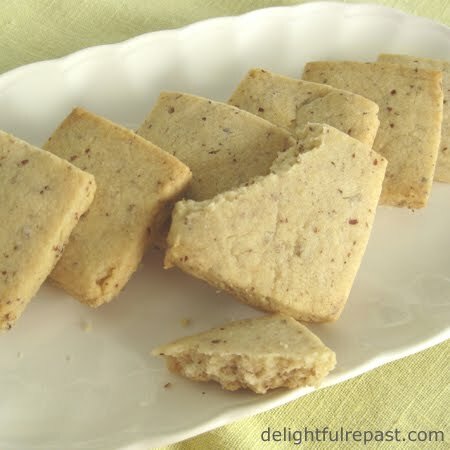 I love a good shortbread cookie, Jean, and I'd love to try your hazelnut recipe. Thanks for sharing, as always. Thank you, Kitty! Maybe you and your sweet sous chef can whip some up for a little tea party. They look delicious,Jean!I am hungry now!Hugs! I've never had the pleasure of eating hazelnut shortbread but it sounds delicious! And yes, butter all the way! Thanks, Sandi! It *is* true, isn't it, that everything is better with butter?! I really love the idea of Hazelnut Shortbread, Jean. It would have such a lovely depth of flavour! Your biscuits look absolutely delicious. I think they would be perfect for afternoon tea. Sharing on Twitter and the H&S Facebook page. Thank you so much for sharing, and for being a part of the Hearth and Soul Link Party! Thank you, April. I think I inherited my love of hazelnuts from my English grandmother. Just seems to go so perfectly with a nice cup of tea! Your Twitter and Facebook shares are greatly appreciated.